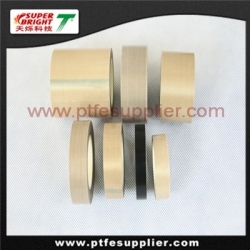 PTFE Coated Fiberglass Thermal Spray Tape is made from a very tightly woven fiberglass cloth that has been coated with PTFE(polytetrafluoroethylene) and has a high-temperature, pressure-sensitive silicone adhesive. It has two types: one has release liner, the other hasn’t. They are specifically designed for the Thermal Spray industry ,and they are perform well in applications ranging from Flame and Plasma Spray to HVOF and Grit Blast.